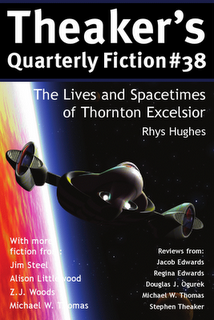 Theakerâ€™s Quarterly Fiction #38, edited by the eponymous nine-month chair of the BFS, is now available in paperback and for free download in various ebook formats. 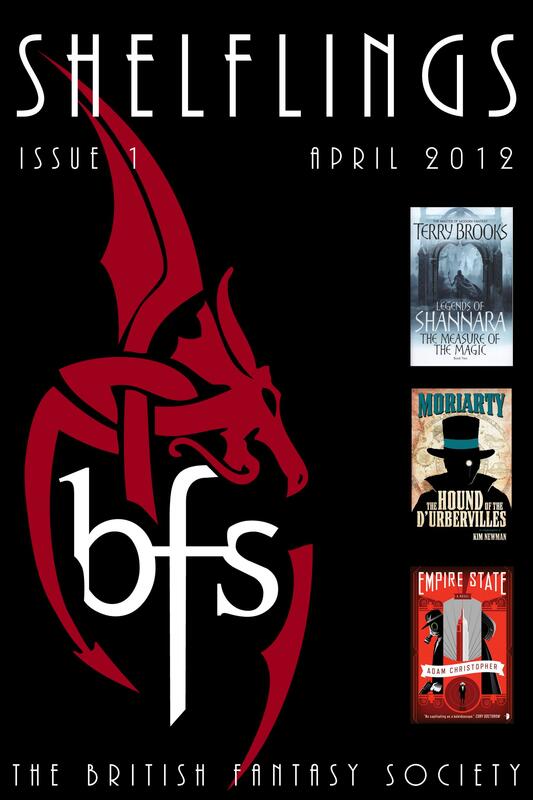 It features “The Lives and Spacetimes of Thornton Excelsior” by Rhys Hughes (actually eight stories in one), â€œBetter than Llandudno, eh?â€ by Michael W. Thomas and â€œOld Preachâ€™s Godsâ€ by Z.J. Woods, as well as two stories by contributors to Dark Horizons and Full Fathom Forty: â€œThe Daylight Witchâ€ by Jim Steel and â€œOff and On Againâ€ by Alison Littlewood. Books from Paul Magrs, Reggie Oliver, Anne and Todd McCaffrey, Nathalie Henneberg, Glen Duncan, Vendela Vida, Wil Wheaton, Johnny Mains, Guy Haley, Ian Cameron Esslemont, and Catherynne M. Valente are up for review, as well as seven comics, six audio adventures, five films and one game. Contributing reviewers include Jacob Edwards, Regina Edwards, Michael W. Thomas and Douglas J. Ogurek. Cover art by Howard Watts.